To create awareness and ultimately affect protocol change in hospitals, our foundation is focusing on three audiences: general public, medical staff, and hospital administration. Reaching each audience will allow for a thorough awareness of the issues across all groups of people possibly affected by the dangers of respiratory depression. 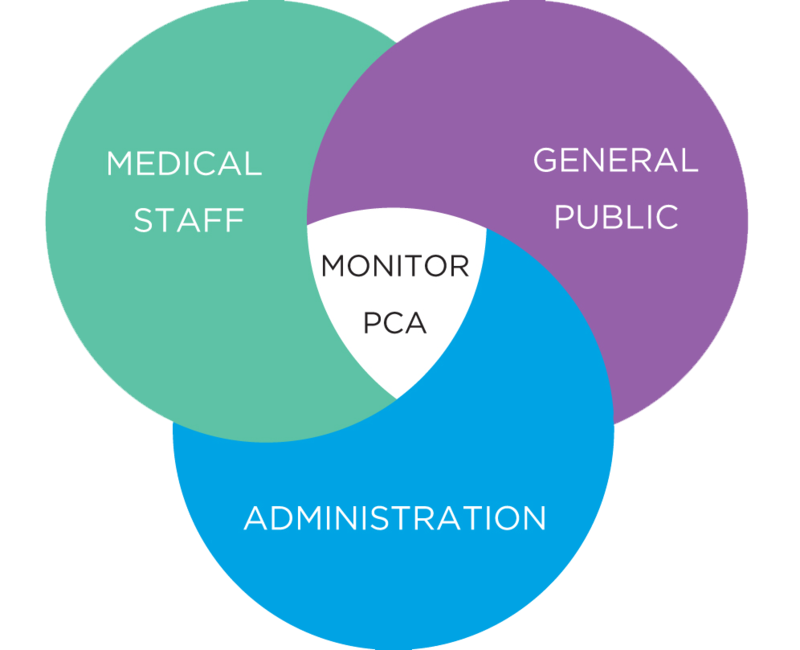 Information dedicated to each audience can be found under Why Monitor PCA?. Print materials for each audience are also available: For the general public we have create an in-depth brochure that describes PCA monitoring and respiratory depression and goes through the steps of how capnography can be used with a patient. 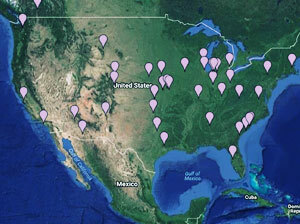 The language is easy to understand and gives an introduction to the topics. 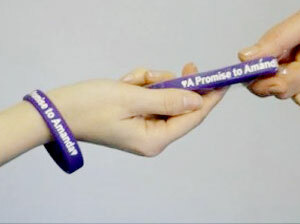 A Promise to Amanda wristbands are also available to show your support of the foundation and to spread the word! For medical professionals our foundation has created a more in-depth, technical booklet that describes capnography and respiratory depression and emphasizes the safety benefits. In conjunction with this booklet, a presentation PowerPoint and script was created to be used for nursing classes, workshops, seminars, lectures, and other learning environments. This detailed booklet/presentation combination makes delivering the information in any setting easy and can be requested separately or as a package. Please contact us at info@promisetoamanda.org to request bracelets, brochures, medical booklets, or the booklet/PowerPoint CD/script package.